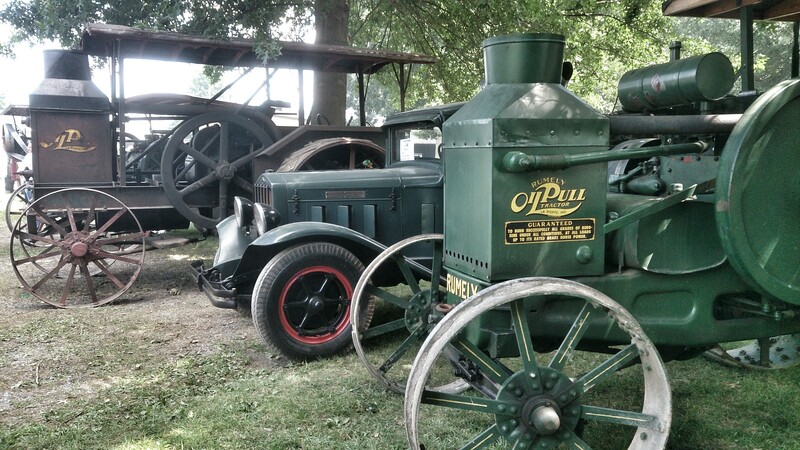 Scattered among the steam and kerosene tractors was an eclectic array of rare antique vehicles. 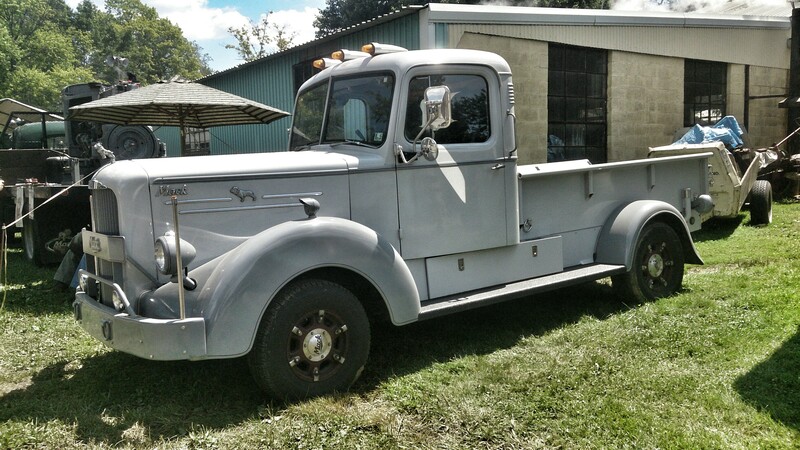 I am trying to figure out if this Mack truck was actually produced or if it is a custom build. 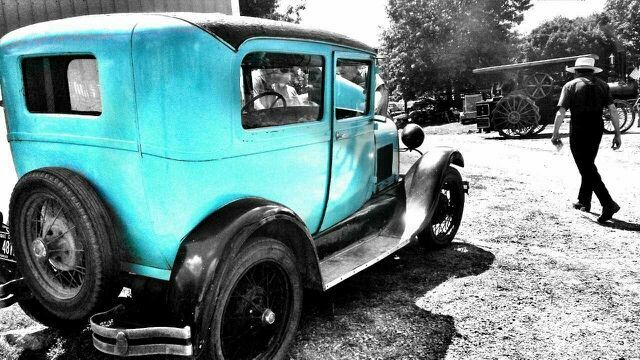 Another rarity in the mix was this Diamond T truck done up as a Rumley dealer’s runabout. 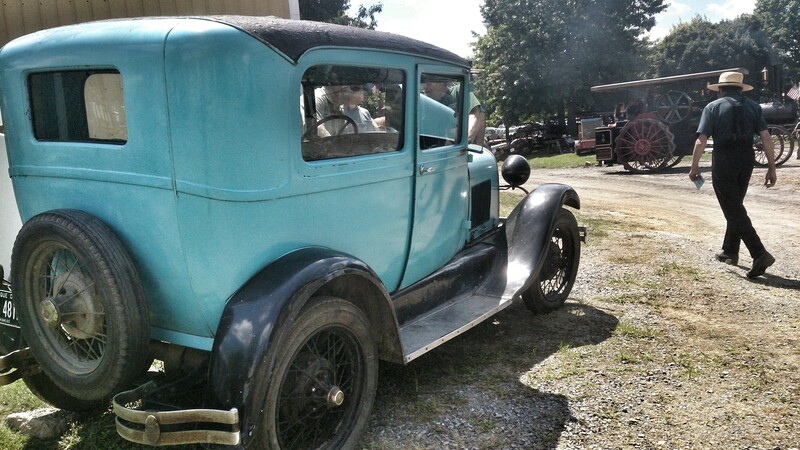 It was tucked in between the Rumley Oil Pull tractors. When you attend this gathering even the most focused adult can become “ADHD” as exciting odd machines go strolling past from all directions. 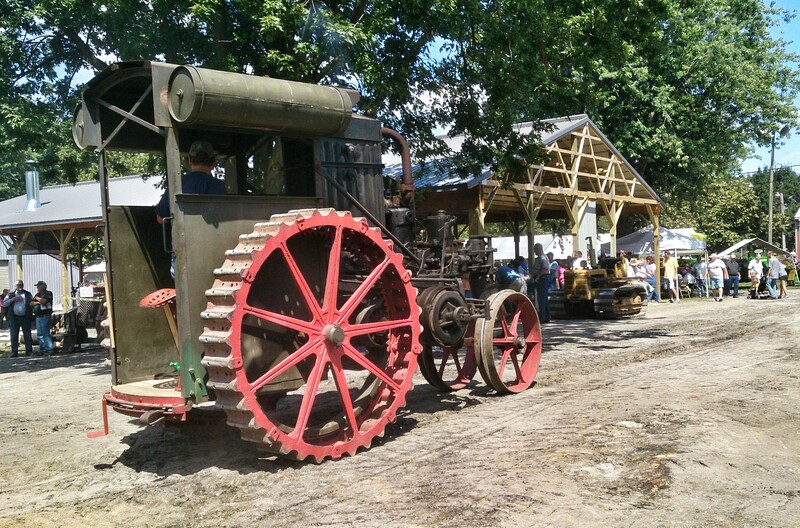 There is an extensive flea market at this show, and if you are looking for signs, tools, or bits of machinery prior to the 1940’s it is the place to go. 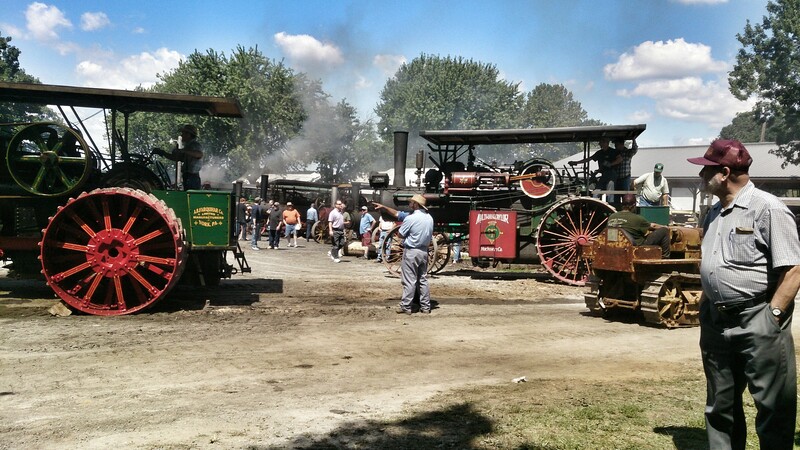 Whole families attend with their tractors and old equipment. 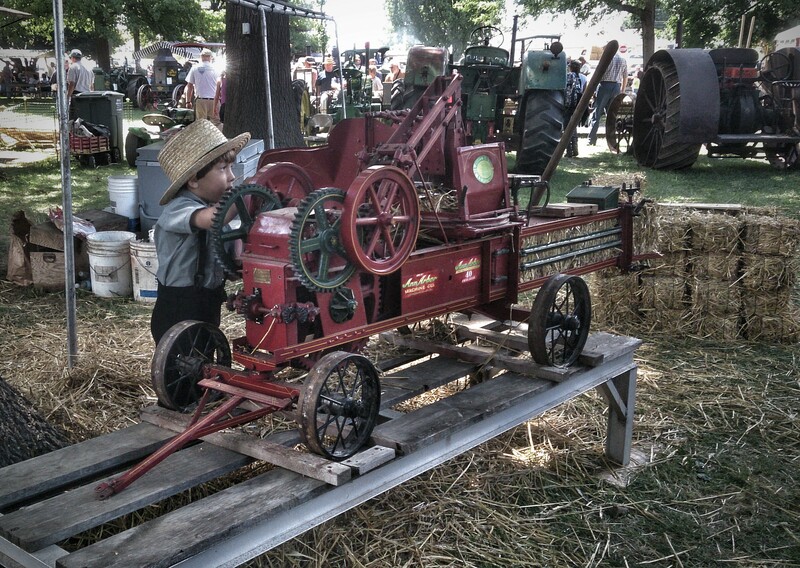 This young Amish boy put himself to work on the miniature hay baler. He was putting in a quite an effort!! There are too many wonderful photos for one post. 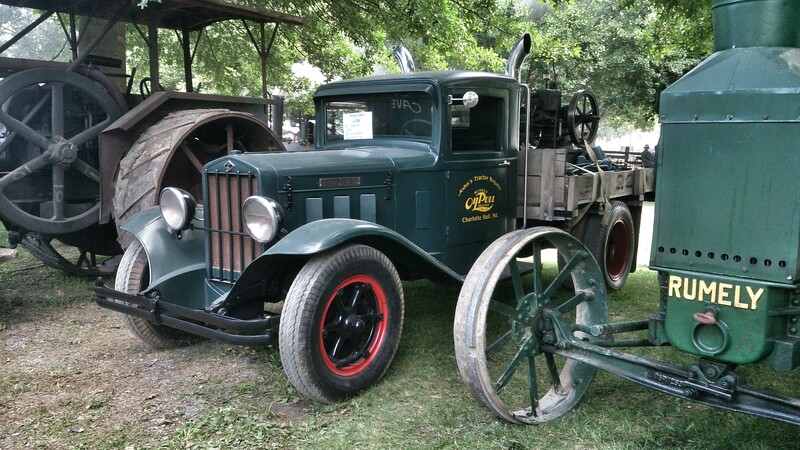 Next I will post some shots of the military vehicle display as well as the largest ratrod I have ever seen. Until then have fun!